Finance bosses at Wolverhampton Council are expected to ask members for an update on the &apos;troubled&apos; refurbishment of the Civic Halls - now way behind schedule and £23.6 million over budget - when the city&apos;s audit committee meets next week. The panel is due to undertake a &apos;lessons learnt review&apos; for three of the council&apos;s recent major capital investment projects - the Civic Halls makeover, the Markets relocation and the Interchange project to redevelop the city&apos;s railway station. However, feedback on how the markets and the train terminal schemes are progressing is likely to take a back seat while the issue of what has made the Civic Halls project stall takes centre stage. At a recent council meeting, confused councillors were unable to provide fellow members or the general public with any definitive answers as to when the refurbishment will finally be completed and how much the total cost will be. Councillor Craig Collingswood (Lab. Park), who will chair next week&apos;s Audit and Risk Committee meeting, told colleagues that he had recently undertaken a site visit to the Civic Hall to check on progress, but left none the wiser. He said: "I think a lot of members came away feeling very worried. "The question needs to be asked, is this project going ahead as it should be? We need a timeframe as to when this is going to be completed." Councillor John Reynolds (Lab. Graiseley), the council&apos;s Cabinet Member for City Economy, replied: "The lead contractor for the work being done at the Civic Halls took the time to meet with us and went through all the costs, what the final total would be and the proposed timeframe expected for the refurbishments to be completed, although at present it is still difficult to identify exactly when this will be." The focus of the Audit and Risk Committee is on the wider issues affecting control of the project rather than the financial monitoring and delivery of the actual programme. 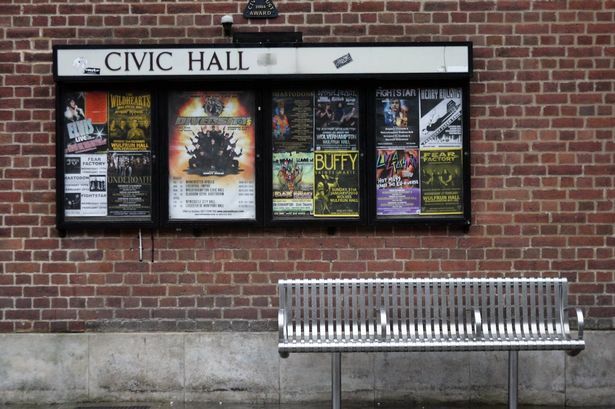 Wolverhampton Council&apos;s Director of Finance Claire Nye said: "The report due for discussion next week is designed to provide an update on any progress made in implementing lessons learnt recommendations - specifically in respect of the Civic Halls restoration. "And it was agreed that regular updates would be provided to the committee in terms of progress. Stabilisation of the programme&apos;s financial position will still be subject to continuous review." Wolverhampton Council&apos;s Audit and Risk Committee will discuss any further progress at a meeting next week.